New Life Spectrum Food - why use it? All major aquarium retailers in Australia use and recommend New Life Spectrum. 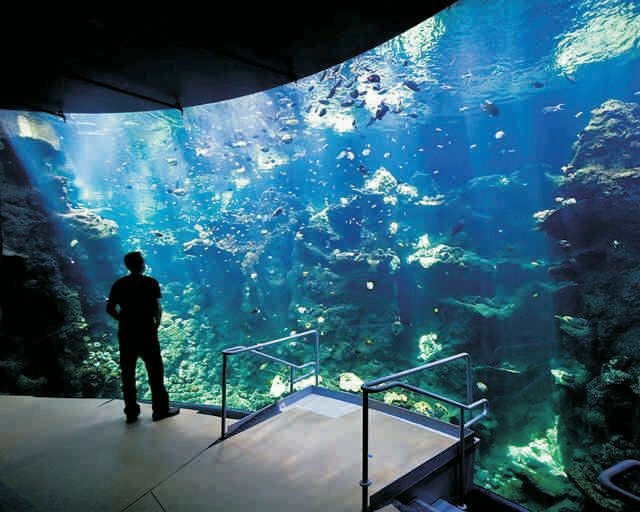 Curators at Melbourne Aquarium (public aquarium) use New Life Spectrum� in their marine and freshwater tanks. Curators at the Wildlife World Zoo in Phoenix Arizona, feed New Life Spectrum� food exclusively to 90% of the fish in their aquariums. The larger specimens are fed fish that are gut loaded with New Life Spectrum�. Columbus Zoo, Mystic Aquarium in Connecticut State and the Washington DC National Aquarium also feed New Life Spectrum Fish Food to their Fish. Department of Fisheries & Aquatic Sciences of University of Florida which specialise in dietary habits & nutritional disorders of fish, uses New Life Spectrum� exclusively as a control diet in their studies, as well as for newly arrived fish that are placed into quarantine. Cairns Marine, one of just a handful of companies worldwide capable of completing initial stock of large public aquaria, use and recommend New Life Spectrum. They are Australia's largest leading supplier of marine specimens for display to international wholesalers, Australian retail outlets and large public aquaria. Joe Yaiullo, one of the pioneers of reef keeping in the USA, and the curator/co-founder of Atlantis Marine World in NY has been feeding NLS (daily) in his reef tanks for the past 10 years. His 20,000 gallon reef set up is the largest in North America, and 4th largest in the world. Joe is one of the world's most highly regarded Aquarium authorities. He has consulted with many public Aquariums worldwide, and has also presented reef-keeping lectures throughout the United States, Canada, and Europe. The photo below features a portion of the world-renowned California Academy of Sciences, Steinhart Aquarium, where J. Charles Delbeek, Senior Aquatic Biologist, also feeds New Life Spectrum to 3,000+ marine fish.